Sky has announced that 2019 will be the final year of its involvement in cycling, drawing to a close a decade of owning and sponsoring Team Sky. The team will now need to find a new backer if it is continue from 2020. The team has delivered 322 all-time wins including eight Grand Tours, 52 other stage races and 25 one-day races. Sky says it got involved in cycling in 2008 when it joined forces with British Cycling in a mission to increase participation at all levels and support elite success on the track and road. By the end of that partnership in 2016, nearly two million people had been inspired to cycle regularly and the Great Britain Cycling Team had achieved unprecedented medal success at three Olympic Games. 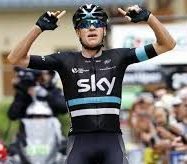 In 2012, with Team Sky, Sir Bradley Wiggins’ won the Tour de France and Chris Froome won the first of his four Tour titles in 2013. Sir Dave Brailsford, Team Sky Principal, became well-know for his training and management methods constantly pushing for incremental advantages in every area. However the team has attracted much controversy in recent years with accusations of performance enhancing drugs and bullying. Sky says its decision to step back from cycling at the end of 2019 comes as the company begins a new phase in its development. 21st Century Fox, which owns a minority stake in Team Sky, has also confirmed that 2019 will be the last year of its involvement in cycling. While Sky and Fox will no longer be involved in cycling after next year, they and Team Sky’s management will give careful consideration to approaches from third parties with an interest in working with one of the world’s most successful sports teams.